Globus Group is a leading manufacturer and provider of Personal Protective Equipment (PPE). With decades of experience helping international companies reduce accident rates within their workforces, our specialists can work alongside your Health and Safety team to carry out trials and evaluations, ensuring the PPE solution is effective and an appropriate fit for all areas of your business. Our portfolio includes gloves from hand protection brands, SHOWA® and SKYTEC®, complemented by a range of ALPHA SOLWAY® high performance chemical protective clothing, respiratory protection and hearing protection products. Our RILEY® range incorporates high performance protective glasses and goggles. All products are proven to perform in extreme conditions. We offer a broad range of sensors for many applications, many years of gas detection experience and most importantly, offer a complete solution for our customers. With a never say “no” approach our flexibility enables us to meet individual requirements that cannot be met by “off the shelf” products. Our “TOTALCare” plan is a true equipment cost of ownership, no more unexpected cost surprises..!! Boplan specialises in designing, developing and manufacturing sustainable and effective fall and collision protection, for use in even the most challenging environments. Our products are designed to protect people, vehicles, buildings and infrastructure. We use high-quality and high-performance plastics, which thanks to our many beneficial properties, have proven far superior to traditional materials. We boast a diverse range of products includes handrails, safety barriers, guardrails, bollards, goalposts, rack protectors, single axes gate, double axes gate and various types of marking tape. As one of the biggest names in the safety and security industry sector, Boplan supply products to almost any industry. Boplan’s clients range from Abercrombie & Fitch to Walmart, IKEA, Ford, BMW, Caterpillar and Coca-Cola to Exxon, Bayer, Intel, Lockheed Martin and many other well-known names. A company which provide complete solutions for efficient and safe lifting. With TAWI, anyone can lift! TAWI delivers integrated products including crane systems, vacuum lifters, hoists and lifting trolleys. Our vacuum lifters can assist with all manner of manual handling tasks. From lifting boxes and sacks, to moving foodstuffs and panels. Whilst our trolleys can turn, tilt and rotate heavy barrels, reels and so much more! Our products are developed in house and hand crafted in our head office in Sweden. We have a skilled team that work with each customer individually to design bespoke solutions for every manual handling need. TAWI offer a complete solution and our dedicated customer support is integral to this. From our initial design service right through to our aftersales team, we pride ourselves on exceeding expectations. 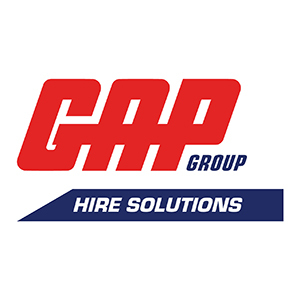 GAP Hire Solutions is the UK’s largest independent equipment rental company, hiring out an extensive range of equipment to industries including construction, utilities, civil engineering and events. In recent years, GAP has focused on a diversification strategy that has seen the company grow from its traditional Plant & Tool hire roots to a multi-service offering with eight divisions, providing customers with a complete hire solution. The company now has over 140 locations and employs more than 1,700 employees throughout the UK. GAP’s eight divisions comprise Plant & Tool Hire, Lifting Hire & Sales, Non-Mechanical Plant, Survey & Safety Hire, Welfare Services, Event Services, Vehicle Hire and London Tools & Access. GAP also offers their customers additional services such as their Test, Inspect and Certify (TIC) service where their engineers test and inspect all lifting equipment to ensure compliance and safety, even if it has not been hired from GAP. Additionally, through their GAP one facility, a specialised team offers bespoke managed services suited to individual customer needs. GAP was established in 1969 by Gordon Anderson and the company is still family-owned and run by his sons Douglas and Iain. GAP’s aim is simple – to make their customers lives easier by providing market-leading equipment and exceptional service. With values such as trust, integrity and honesty underpinning their nationwide operations, the third generation of the family is now involved in the business. GAP’s vision is to be the UK’s most innovative hire solutions provider, with a focus on reducing their environmental impact on the world. This means GAP invests heavily in innovative eco-products and green technologies. GAP proactively works with their suppliers to develop greener products, advise their customers on best practice and implement environmentally friendly processes. In 1984, we made a shoe. It was a shoe meant for the foot of workers; people who woke up early, worked late and came home tired. Shoes For Crews’ unique slip resistant outsoles were developed with the distinct mission of keeping workers safe. That’s why we have been an industry leader in safety for over three decades, and have kept 100,000 workplaces safe worldwide. Our shoes are in the finest restaurants, the greasiest kitchens, hectic medical facilities, and industrial manufacturing operations. Now, our legacy of safety has been revamped to be more comfortable and stylish than ever, which keeps you on your feet. Our shoes aren’t just slip-resistant; they’re spill-resistant, trip-resistant, comfortable. We’re all going home to something or someone. Shoes For Crews, now and always, just wants to help you get there. Spill Hound is a fully sustainable, recyclable absorbent system for rapidly dealing with oil spills in the workshop, at the roadside or in the field. Existing methods range from inefficient (pads, socks) to hazardous (kitty litter granules containing crystalline silica). Spill Hound is totally safe in use and allows spill areas to be immediately opened to foot or vehicular traffic. At the roadside, Spill Hound rapidly absorbs fuel and oil spillages, and can eliminate the need for road resurfacing. For companies seeking environmental accreditation, Spill Hound makes a positive contribution to Waste Minimisation Targets, Sustainability Targets and Recycling Targets whilst reducing costs. Every Highways Agency vehicle in the North West and Wales carries Spill Hound, allowing them to cope with spills as they happen. 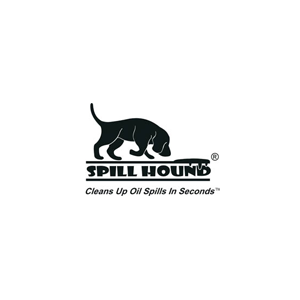 In a dual-branded variant, Spill Hound can be purchased in over 36 countries via the Gulf Oil Network as MultiResponse. For larger users, custom branding is available. Spill Hound is formulated and manufactured in the UK under an ISO9001 quality assurance system. 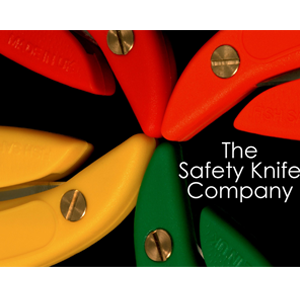 Founded in 1993, The Safety Knife Company have been bringing you the latest Safety and Utility Knife innovations for over 25 years, significantly reducing the risk of injuries in the workplace. All of our manufactured products are made right here in the UK and we strongly value our local supplier relationships. Most of our members of staff have been with us for over 10 years, enabling us to offer you extensive product knowledge and outstanding customer service. Following a fantastic year last year, including an MBE award to the original inventor of the first Safety Knife Mr Bill Ireland, we are excited for the year ahead, ensuring that we are always offering you the very best alternatives to open bladed knives. Innovative solutions to protect your employees. Orbis are the longest standing provider of lone worker protection solutions, changing the way employees are protected since 2001. Our services are supported by our in-house Category II Alarm Receiving Centre which currently supports over 25,000 lone workers. Evac+Chair are the supplier and original manufacturer of the world’s No. 1 evacuation chair. The chairs are designed to accommodate disabled or mobility impaired people, allowing them to descend and ascend a staircase in an emergency situation without the need of great physical strength or lifting. A British manufacturer with over 35 years’ experience, and more than 30 distributors worldwide, including in the USA, Germany, India and South Africa, Evac+Chair have become leading specialists in emergency evacuation. Evac+Chair provide comprehensive training and education to ensure the effective use of its products, ensuring their customers comply fully with health and safety regulations. This can range from providing products, advising on the legalities that surround evacuation planning and deployment to specific and regular maintenance. ZoneSafe is a safety solution designed to reduce the risk of accidental collisions and near miss occurrences around vehicles and personnel. Detecting personnel working in the vicinity of a vehicle, it provides an audible visual alarm to warn the driver when a pedestrian becomes too close. The proximity warning system can be fitted to any industrial vehicle or used to protect assets. 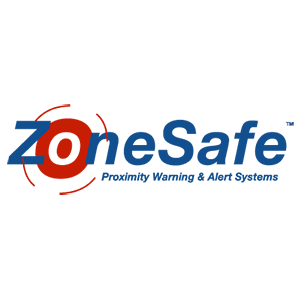 By preventing collision risks, ZoneSafe systems create a safer working environment improving safety culture and awareness. Moldex is a leading manufacturer of hearing and respiratory products. Our products are created with the concept of making PPE easier, safer and more comfortable for the end-user by using innovative ideas and technologies. With huge emphasis on R&D, Moldex are continuously developing new ideas and technologies. A key factor to our success lies in attention to detail both in product development and process technology. We make almost all product components in house, down to weaving the elastic straps on our FFP’s. We even make the machines that make the products, enabling us to keep improving & innovating our ranges. Tranemo Advanced Workwear is a Swedish based manufacturer of innovative and functional Workwear and together with our Danish sister company, Lyngsoe Rainwear, we offer one of the most comprehensive ranges of quality Workwear and Rainwear available in today’s markets. Tranemo Advanced Workwear has long been recognised as one of Europe’s leading suppliers of Inherent FR and Anti-Static Workwear. With over 80 years’ experience of manufacturing high quality Workwear, Tranemo have also now launched the new Edge GO/RT range of FR Inherent garments, as well as our new range of Lyngsoe FR Arc Rainwear. Our UK, Irish & Icelandic Head Office is based in Cramlington in the North East, meaning a fast and efficient service for all of our customers. Linde Material Handling (UK) Ltd is part of the KION group, the world’s second largest manufacturer of industrial trucks and one of the leading suppliers of automation solutions for intralogistics. Linde develops high-performance solutions for intralogistics. The basis for this are electric and diesel forklift trucks, warehouse equipment, fleet management software, automation solutions, driver assistance systems, financing offers as well as services around the forklift truck and operator training. The comprehensive product range includes electric and engine powered counterbalance trucks and warehouse equipment. This vast choice offers a solution for every business, large or small, in all industry sectors. Advanced, innovative technology and design ensure that Linde products offer optimum levels of safety, stress-free comfort, performance, efficiency and economy. National service coverage is operated from over 20 support centres across the UK and Ireland which employ over 1000 fully trained service engineers ensuring a fast and efficient response to our customers. These centres also offer sales support, full demonstration facilities and fork truck training facilities with experienced, accredited instructors. Our national short-term hire fleet of 10,000 trucks keeps our customers moving during peak and unexpected periods of demand. In addition, our Approved Used truck offer provides a risk-free option to acquire reliable, high-performance equipment backed up by the leading manufacturer in Europe.